Acne scarring refers to the marks left behind on your skin after your acne lesions heal. The dermis may appear red or may become depigmented or hyperpigmented as a result of this damage. These scars are often permanent but can sometimes fade by themselves over time. Treatments are available for acne and acne scarring. Acne lesions often become inflamed due to the build-up of oil and bacteria in the pores. Acne scars can be caused when the inflammation of the lesion breaks the wall of the follicle and damages the skin tissue. Any increase or decrease in tissue formation can lead to acne scarring, and picking at your spots makes scarring much more likely. The majority of scars can be improved with treatment, and we can help minimise your scarring with a realistic treatment plan to suit you. Before we treat your scarring, we recommend treatment of any active acne first to ensure long-lasting results. 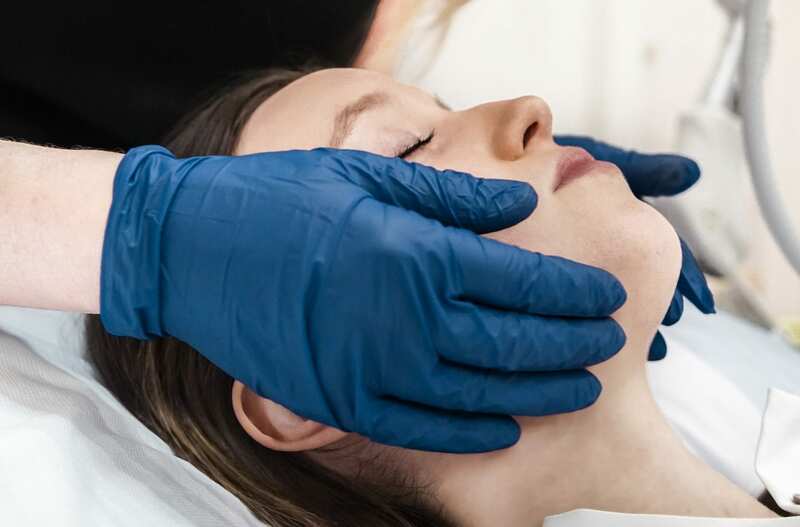 There are a variety of treatment methods available, and you should consult with a dermatologist to identify which is the most appropriate course of treatment for you, depending on your skin type, the severity of your scarring and what you hope to achieve from the treatment.